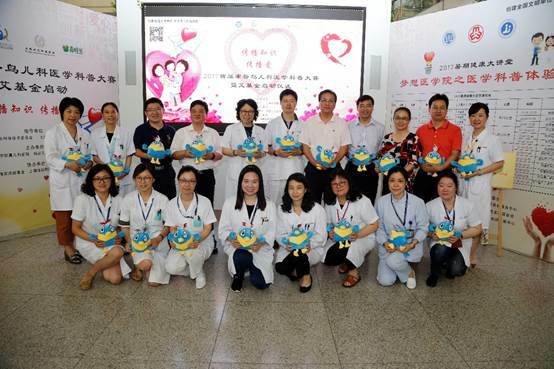 2017 Cuckoo Pediatrics Science Popularization Contest and the launching ceremony of SSCLF - Ai Fund was held in Pediatric Hospital affiliated to Fudan University on the morning of July 11, 2017. 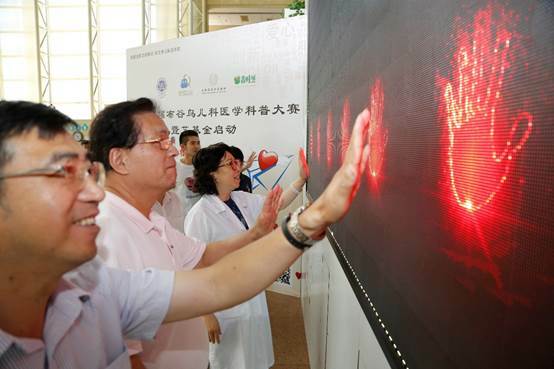 Present at the meeting were SSCLF acting secretary general Jia Yong, Shanghai Science Popularization Center director Yu Zengrong, and Shanghai Municipal Health Promotion Center party secretary Jiang Hongyun. 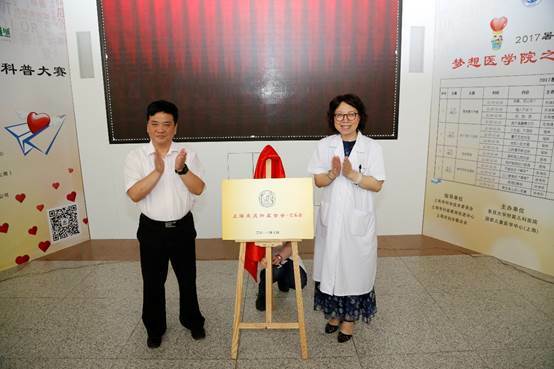 Supported by SSCLF – Ai Fund, the cuckoo pediatrician studio has filmed 50 episodes of popular medical science videos for the contest according to the characteristics of children, which has been on the line one by one in the studio Wechat public account, and has been played on the big electronic screen at the outpatient hall. 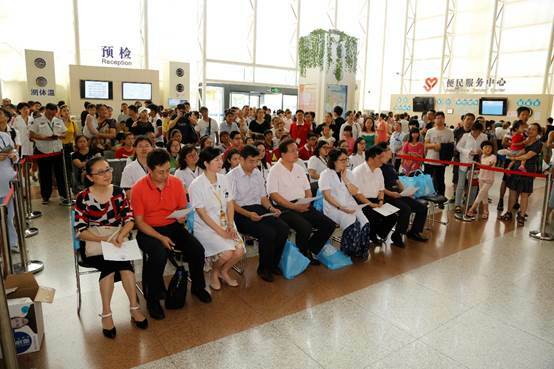 The organizers will select Pediatric Hospital’s "popular science talents" based on the parents and children vote results. 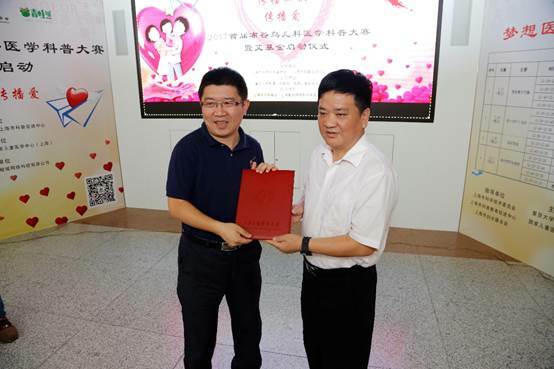 SSCLF – Ai Fund is established jointly by SSCLF and Shanghai Frog City Network Technology Co., Ltd. Ai Fund will donate one million yuan annually to support the popularization of pediatrics science, the treatment of children's respiratory diseases and the improvement of the hospital environment.